Archeology of North and Central America. During may stay in Utah and Mexico I begun to be interested in archeology of precolumbian cultures: Anasazi indians, ancient mexicans (Teotihuacan, Oaxaca, etc.). I. Barnol, R. Piña-Chan, F. Camara-Barbachano,- Tesoros del Museo Nacional de Antropologia de México, Daimon de México, 1979. C. Burland, W. Forman,- Gods and fate in ancient Maxico, Panorama Editorial México 1980. C. W. Ceram,- Der erste Amerikaner, das Rätsel des von-kolumbischen Indieners, Rowholt Verlag 1971, Ed. italiana, Il primo americano, Einaudi 1972. 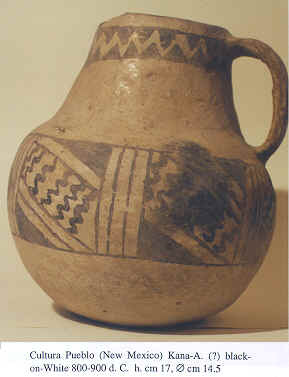 A. E. Dittert Jr. , F. Plog,- Generations in clay, Pueblo pottery of the american southwest, Northland Press, Flagstaff 1980. W. M. Ferguson, J. Q. Royce,- Maya Ruins of Mexico in colours, University of Oklahoma 1877. 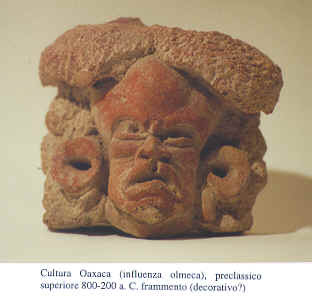 J. Larrade de Sáeur,- Crónacas en barro y piedra, Arte prehispánica de México en la coleccion Sáeur, el periodo formativo, Universidad Nacional Autonoma de Méxixo, 1986. 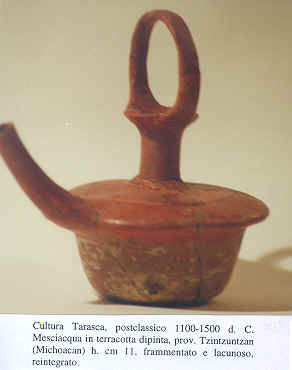 A. Romano, a cura di,- Museo Nazionale di Antopologia, Città del Messico, Mondadori 1970. J. Soustelle,- La pensée cosmologique des anciens mexicains, Hermann 1940. G. C. Vailant,- Atzecs of Mexico, Doubleday&Company inc. 1941, Ed. italiana, La civiltà atzeca, Einaudi 1970. D. Watson,- Indians of the Mesa Verde, Mesa Verde Museum 1961.